Still haven’t figured out the line-up for your Super Day of Eating menu? Consider these crowd-pleasing ideas. 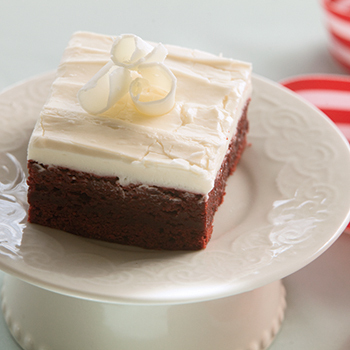 Dessert: Red Velvet Brownies with Cream Cheese Icing. Simple to make and so much easier to cut into bite-size portions than a huge Red Velvet Cake. You’ll still get rich red velvet flavor with irresistible cream cheese icing, though. Appetizer: Hot Wings Hummus. Fast, easy and a fantastic substitute for the more calorie-and fat-laden but oh-so-delicious Hot Wings or Buffalo Wings Dip. Nutrient and protein-rich chickpeas are blended with antioxidant-rich spices and seasonings. Serve with fresh celery sticks – a winning way to get more vegetables on the plate! Side Dish: Maple Apple Baked Beans. Oh sure, you could put out bowls of grapes, Cuties, kiwi, bananas and berries for everyone enjoy. But can you really imagine enjoying your Porter or Stout (my faves) along with fresh fruit? Probably not. 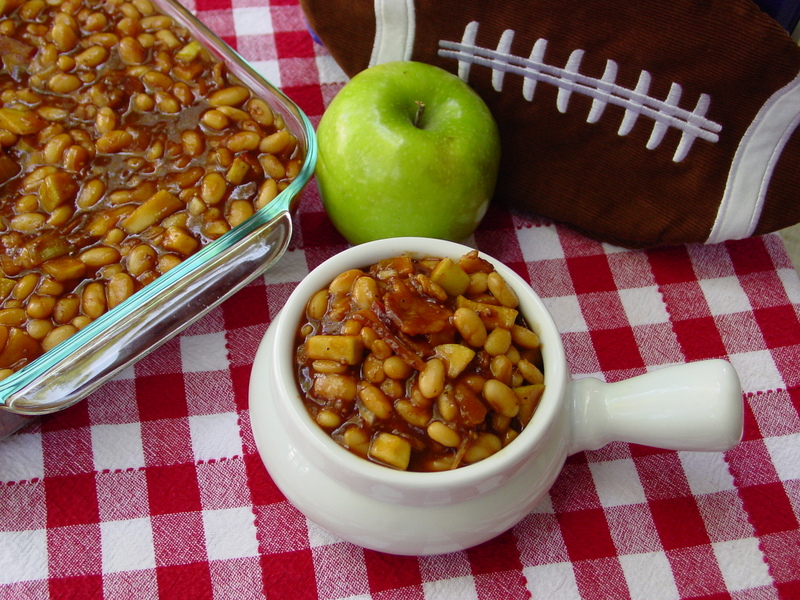 Score big-time by adding apples to baked beans, maple syrup and barbecue sauce. 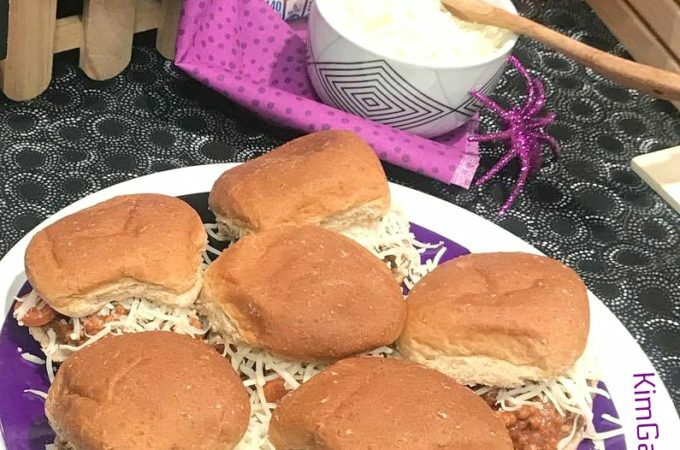 Touchdown: Crock pot on for Pulled Pork with a lean pork loin, skillet on the stove for Hot & Spicy Beef Burrito meat and some whole-wheat buns and corn tortillas….maybe a batch of my Zesty Black Bean & Corn Salsa for extra veggies ……and Touchdown! The perfect menu for blending and balancing great taste with good health. Even on this Super Sunday of Eating. Preheat oven to 350°F. Grease a 9-by-13-inch baking pan with butter or shortening. Microwave butter and bittersweet chocolate in a large microwave-safe bowl on high 1 ½ minutes or until melted and smooth, stirring at 30-second intervals. Whisk in sugars. Add eggs, one at a time, whisking just until blended after each addition. Add red food coloring, vanilla and buttermilk and whisk until thoroughly blended. With a wooden spoon, gently stir in flour, cocoa powder and salt. Pour and spread batter into prepared pan. Bake 25-35 minutes or until wooden pick inserted in center comes out with a few moist crumbs. Cool completely in pan on wire rack before frosting. While brownies cool, make frosting. In a medium bowl, beat cream cheese and butter at medium speed with electric mixer until creamy. Gradually add powdered sugar and salt, beating until blended. Stir in vanilla. Frost cooled brownies and store in refrigerator. Place all ingredients in food processor. Add ¼ cup plus 2 tablespoons reserved chickpea liquid. Puree until smooth and creamy. Add additional chickpea liquid if you prefer a thinner hummus. 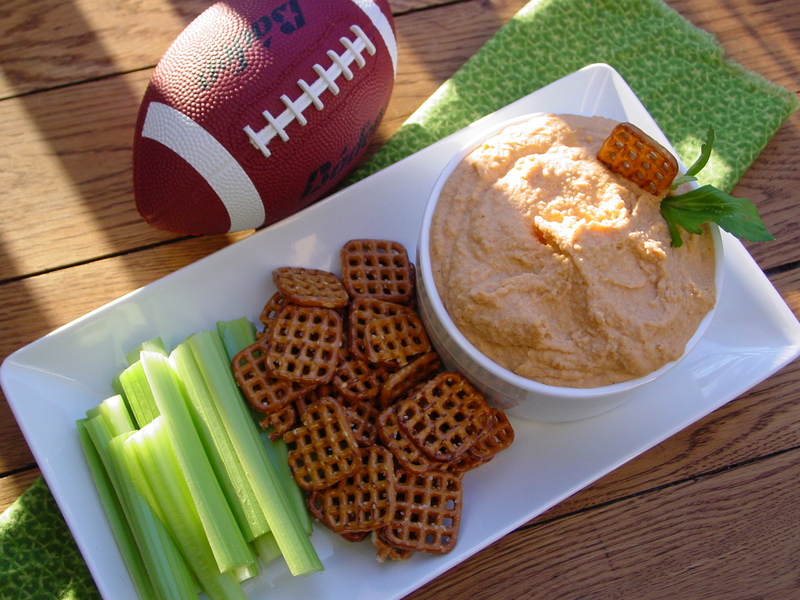 Serve with celery sticks, waffle-style pretzels, pretzel crisps and/or whole-grain crackers. Preheat oven to 350°F. 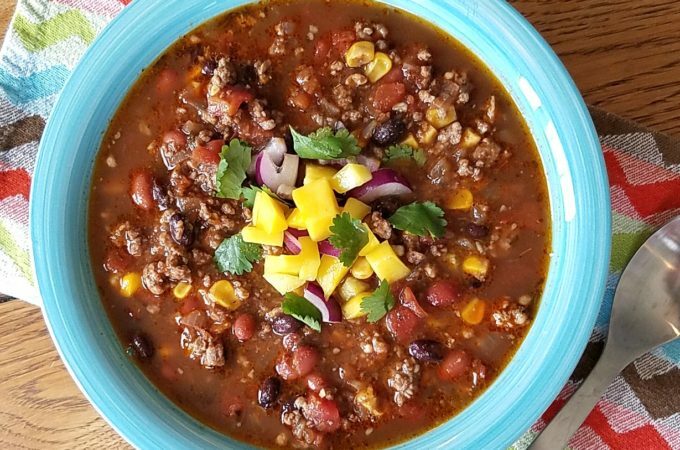 In a large bowl, combine all ingredients and stir well. Pour in 13x9x2-inch glass baking dish coated with vegetable cooking spray. Bake 45 minutes, or until bubbly and heated throughout.